This is in-car video from Races 2 and 3 of last weekend's BCRS Formula Mazda races. I had to split each race up due to Blogger's upload limit. After an exciting Day 1 of the BCRS weekend and taking home the victory in Race 1, I tried to focus on really improving my formula car driving on Day 2 and do my best in Races 2 and 3 while staying clean and bringing the car home intact. We qualified for Race 2 on Sunday morning during a wind storm that brought debris and sand all over the 2.5 miles track. This made quick laps risky and difficult and I was struggling with rear grip in my #14 Formula Mazda. I made a rear anti-roll bar change before the session, but it was not enough so I continued to soften the rear bar for Race 2 and Race 3 to compensate for tire degradation and track conditions. I qualified 3rd for Race 2 and was disappointed with my pace, but I knew I had the racecraft and speed to pass Ayrton Triolo, who qualified 2nd in the #17 car, during the race. At the start of Race 2, I settled into P3 and stayed with the leaders for opening stint of the race. After Lap 5, #17 started to make some mistakes and have braking issues with his Mazda so I closed the gap, got on his gearbox, and waited for him to make another mistake. On lap 8, Ayrton spun in Turn 4 and I was able to get by unscathed despite having a close call with the sand outside of turn 4. I stayed in P2 for the last few laps and cruised to a 2nd place finish. This put me 2nd on the grid for Race 3 with Matt Maddox in the #6 FM on the pole. Matt won Race 2 so we were tied for the weekend overall lead with Race 3 deciding the victor. I tucked in behind Maddox at the start and pushed to stay close with him. However, Ayrton in the #17 was fast and pressuring me from behind. He went for the pass on the entry to Turn 4 on Lap 3, but I was able to pull an over/under move on him and retake 2nd place at the exit. Our battle for 2nd place let Maddox check out to a 4sec. lead. I pushed hard for the next 8 laps and was able to maintain 2nd position, but could not challenge Matt for the lead. This gave Matt Maddox the overall victory with 2 wins and 1 2nd place finish to my 1 win and 2 2nd place finishes. Congrats to Matt on the win! Overall, I was very pleased with my first race weekend in Formula Mazdas. From the advice of Alan Rudolph (BCRS series director and stud karter/racing driver), I switched from right-foot braking and using the clutch on downshifts to left-foot braking and clutchless upshifts and downshifts on Sunday. I started the new braking/shifting technique in Sunday morning practice and stuck with it for the remainder of the race weekend. I was able to keep running similar laptimes with the technique change, but still need to work on my smoothness with clutchless shifts. I learned a ton about driving and racing formula cars and feel much better prepared for the Bondurant Driver Search Shootout next week. Thanks to the Bondurant staff, mechanics, and instructors for making the BCRS a great experience! I will post some more in-car video when I have time after the shootout. Today was Day 1 of my Bondurant Championship Race Series weekend in Chandler, Arizona. Running our races with ASA Road Racing, we had two 15-minute qualifying sessions, one 15-min. qualifying session, and a 20-min. race on the schedule. My pre-race preparation paid off and I was instantly quick in the 1st practice sessions. By getting to the know the track well beforehand, I was able to focus on improving my driving in the Bondurant Formula Mazdas instead of working on the line and where the track went. This helped me get a good start on the weekend and a jump on the drivers who also had not raced on the Bondurant tracks before. I was in the top 2 for both practice sessions with a fast lap of 1:57.916 in the 2nd practice. Top practice time was set by Matt Maddox, a competitor in last year's Bondurant series, with a 1:57.234. I knew I was giving time up in several corners and was confident I could make the time up in qualifying. However, Maddox missed the qualifying session so that boded well for me grabbing pole and possibly a race win. Qualifying went smoothly and I ran clean laps without traffic for the full 15-minutes. I really improved my driving in this session and corrected some of my errors from practice. This helped me qualify in Pole Position for Race 1. From our morning practice sessions to the afternoon qualifying, the track and ambient temperatures rose causing our Formula Mazda slow down with the engines making less power and tires struggling with the increasingly greasy track. My qualifying time was a 1:58.701 which was 0.6s ahead ahead of Ayrton Triolo in P2. Ayrton is a 16-year old Formula Ford and kart racer from Saskatoon, Saskatchewan in Canada. My plan for the race was to lead into the first corner and then push hard to build a gap on the field in the opening laps. Maddox was the only driver who could match my pace today, but he was starting back in 5th place. I knew if I could build up a gap while he fought through traffic, I would have a good shot at the win. At the start, Ayrton in P2 got a jump on me and led into turn 1. I was able to get by him in turn 11 on lap 1 and take the lead. I then put the hammer down and worked hard to build up a lead on the field. Behind me on lap 2, two drivers got together in turn 9 and then Maddox started to get open track after he moved up to P2. After the first 2 laps, I had built up a 3 sec. lead, but then Maddox started to slowly reel me in and finally caught me on Lap 6. We battled for the next three laps swapping position several times on the long drag strip straightaway. 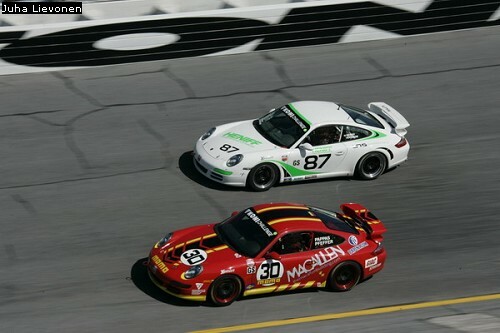 The key moment of the race came on lap 8 as Maddox and I approached a lapped car. I decided to make an aggressive pass on the lapped car in turn14 because I knew Maddox would not be able to follow me past the lapper. This strategy worked and helped me to build a 1 sec gap that I was able to hold onto for the final few laps. In the end, I crossed the finish line 0.214s ahead of Matt Maddox and almost 35s ahead of 3rd place. Today's race was my first wheel-to-wheel race in anything other than a kart so I was very pleased with the result. Despite picking up the win, I made plenty of mistakes that I can learn from to improve my race driving, racecraft, and race starts. Tomorrow, we have one practice session, one qualifying session, and two 20-min. races. I have several different corners that I know I can make up significant time in and will be experimenting more with left-foot braking, so it should be a fun battle tomorrow with Maddox and Ayrton. Back in August when I attended the Bondurant 4-day racing school, I applied for the 2010 Bondurant Driver Search Shootout which is a competition for 20 young drivers to compete for a full-ride in the 18-race 2011 Bondurant Championship Race Series (BCRS). The BCRS is a feeder Formula series using the Bondurant Formula Mazda racecars and is run at the 4 Firebird/Bondurant complex tracks in Chandler, Arizona. I was selected for the shootout soon after I applied and I have been working hard to prepare myself for the competition since. My main preparation goal was to get seat time in a Formula Mazda before the shootout. To accomplish this, I have entered a one-off (not part of the 2010 championship) BCRS race this weekend September 25th and 26th. I will get 4 sessions each day including 1 race on Saturday and 2 races on Sunday. We will be competing on a combined circuit comprised of the Bondurant School track and the Firebird Main track. This is the first time this combination has been used for racing in over 8 years. It will be a new track for every driver which should make things more interesting! I fly out this Friday morning to Phoenix to start an exciting two weekends of racing. I will update my blog with in-car video and race recaps as much as possible during the Formula Mazda BCRS race weekend and the shootout. The shootout could be a huge step in my racing career, so I am working my hardest to prepare and maximize this opportunity. I would like this to be the final design, but I have the illustrator files so feel free to post any suggestions or just let me know what you think. I wanted to get this logo done in time for my next two race weekend because they are big ones for me - more on that later. See the links right above this post for three pages added to the blog. I've added a page showing the members of the Yaw Moment Racing team, a page detailing the main vehicles I have owned, built, and raced since I turned 16, and my driving resume. I've been having trouble with some of the photos not loading on the car history page, but I think it stems from Blogger server trouble because it has been different on each computer I've tested it on. Anyway, enjoy the improved YMR Blog! 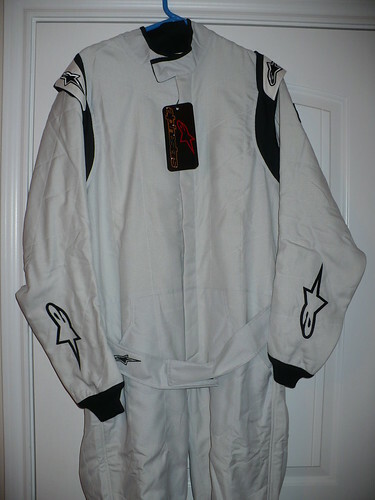 My new Alipinestars GP-1 driving suit came in the mail a few days ago. I can't wait to hit the track in a light suit that breathes.....my current Ultrashield suit feels like putting on a lead vest. I also picked up a new chrome silver Bell visor from OG Racing and some other accessories to keep my Bell helmet fresh. Thanks OG! Congratulations to the Edision2 team from Lynchburg, VA on taking home $5 million as the winners in the Mainstream Class of the Progressive Insurance Automotive X-Prize. I worked with several of the team members while I was a student at the University of Virginia in Charlottesville, VA. I spent a lot of Saturdays with the team's Chief of Supplier Relations, Julian Calvet, at his workshop in Charlottesville. Julian ran a Porsche 997 in the Grand-Am Koni Challenge in 2007 when I met him at Daytona. 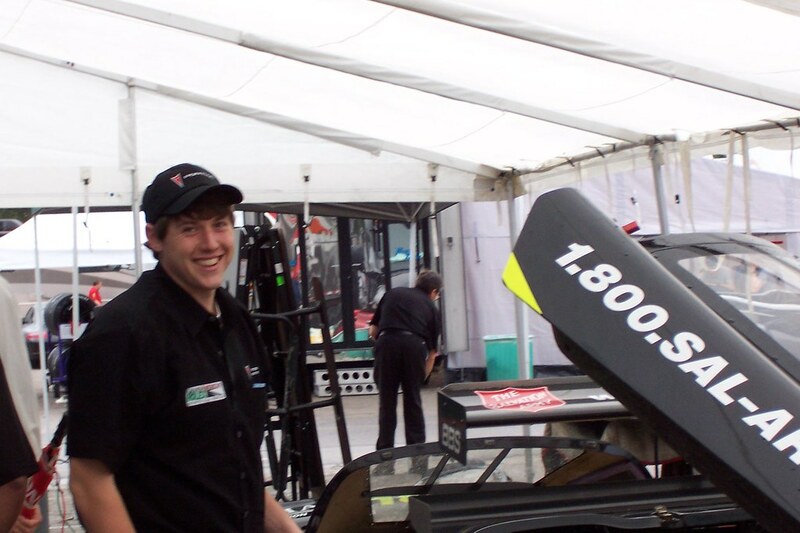 I helped him fix and prep his car after the Daytona 2007 race. He eventually sold the car that season, but it was a good learning experience for me at the time. I met Edison2 Founder and CEO Oliver Kuttner through Julian because they are close friends and Oliver's shop was across the street from Julian's. I remember Oliver talking about his interest in the X-Prize back in 2007....I guess he was VERY interested and that worked out for him pretty well. After a 14-hour return drive to Texas, Ali and I got back to San Angelo around 10PM on Thursday. I've had a few days to get back to normal life and go over video and results from the week long excursion to Lincoln, Nebraska. Overall, Ogburn Motorsport (aka my Dad and I) had a great experience at the 2010 SCCA Solo Nationals Championships - we learned a lot, met some people, saw some cool cars, got to spend time with family, and got to turn a few laps around two of the most fun autocross courses we have raced on against 54 other STX drivers. On Day 1, STX class raced on the "West Course" which was more technical and a bit tighter than the fast, flowing East course. The course should have suited the Mini's small stature and kart-like handling and steering, but I did not perform as well I expected. I ended up with a fast-time of 64.192 in my last run which put me in 29th place and 2.5s back from Andy Hollis who had a 0.8s gap on every non-Civic STX car. Basically, Andy dominated Day 1 and left it to everyone to play catch-up on Day 2. The field was extremely tight from P15 to P30 with the biggest gap from any driver being 0.12s - most gaps were around 0.05s! With the tightly packed group from 15th to 30th, I knew I the had potential to move up with a good run on Day 2. Day 1 was a good learning experience for me because I learned truly how much I need to attack the course on both days to not get myself behind. I was too cautious with my three runs and tried too hard not hit cones in certain areas. On a bright note, I had several people compliment me on my slaloms because I wiggled two cones in one of the slaloms on every run. The course workers would go and check each time, but they were always in the box! With lessons learned from Day 1 fresh in my mind, I set out to attack the course on Day 2. Day 2 had STX on the East course and I had much better day overall. I was a much more aggressive, thinking driver on Day 2 and it showed up in my lap times. Again, my third run was my fastest clocking in at a 64.865s. Sebastian Rios in a 1991 Honda Civic had the fastest STX time of the day with a 62.983. My run was 19th fastest out of 54 drivers on Day 2 and moved me up to 22nd overall from 29th. Unfortunately, I did cone away my fastest run on Day 2. Without a cone, my 64.258 run would have put me 17th on Day 2 and 17th overall out of 54. With 54 drivers in our class, the SCCA was awarding trophies back to 15th place in STX. I had two goals coming into my first Solo Nationals: 1) My "I'll be pissed if I don't achieve this goal" was to finish in the top 50% of my class 2) My "reach" goal was to finish in the trophies. I achieved my first goal, but was not quite quick enough to get in the trophies. At least I was the fastest Mini in STX! When I look back on my first Nationals it is easy to be disappointed because I didn't come back with any hardware, but I keep having to remind myself that I have only driven the STX Mini 3 times, it was my first nationals, and our car is under-prepped for the class. This year will serve as a great building block for continuing to race and develop the Ogburn Motorsport Mini JCW for STX class. We are waiting to see if there will be any significant rule changes in STX for 2011, but we have already made plans to improve the car significantly for next year. I have to thank the following people for making my trip to the 2010 Solo Nats possible: My Dad and Mom, my girlfriend, Courtney Courmier, OG Racing, AutoX Cooper, and all of the Solo Nats event sponsors. Thanks! In the staring line on the East Course with our stickered up Mini. Thanks Sponsors! I bet this was fun to drive! Day 2 at the 2010 SCCA Solo Nationals is in the books. My Dad and I ran another 2-hour test and tune session and made some good progress on our driving and the car setup. Our base suspension setting is good so we made minor adjustments to the tire pressures to fine tune the car's balance in steady-state sweepers and transients. I watched several STX competitors run the test and tune course, including the 2009 STX national champ, and I was running times competitive in the Mini. My goal is to trophy (top 15 out of 54 drivers) and this certainly looks possible. Tomorrow will be the true test as we have our first official runs. We will run three competition runs on the "West Course." 3 more runs on the "East Course" on Wednesday will decide the championship. Wish us luck! Thanks to Courtney Courmier for his advice and feedback on our STX Mini and driving technique. 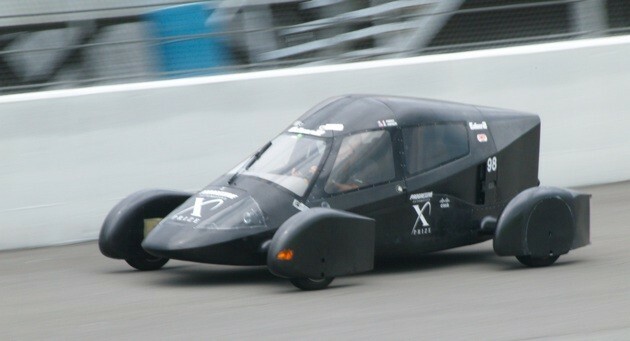 Today was our first day at the 2010 SCCA Solo Nationals. I registered, did tech inspection, and then we had our first sessions on the slippery Lincoln Air Park (LAP) concrete. The LAP is an amazing site - huge paddock area and enough room for two 60+ second courses and a 40 second test and tune course. The concrete is definitely taking some getting used to. It has fairly low grip levels and has quite a bit of rocks and marbles on all courses. With 1,175 competitors racing on these courses, marbles are everywhere! Tire pickup will be an issue and we have already scraped excess rubber off of our tires once. My Dad and I had a 2-hour practice session with the EVOLUTION driving school today. It was a great learning experience for both and we mainly focused on getting up to speed with the new surface and the new car. We adjusted the setup slightly, but it had good balance from the get go - a big too much oversteer, but we will work on that in tomorrow's test and tune. We each ran 10 runs around the practice course and I was able to run consistent laps at my max pace which I was pleased with. Mike Johnson, owner of the EVO driving school, gave me good feedback and drove our car which will help us greatly throughout the week. Tomorrow will be an important day because we have our last test sessions and both Nationals courses open up for walking. Hopefully, I'll have time to post some videos and photos tomorrow. Time to get sleep. My girlfriend and I made the 800 mile trek from San Angelo, TX to Lincoln, NE for the 2010 SCCA Solo National Championship today. My Dad and I are competing in STX class with our 2009 Mini Cooper JCW this week. Currently, STX is one of the largest classes with 50+ competitors and 1,175 drivers are registered for the event overall. Our first test session is tomorrow at noon so the action starts soon. Should be a fun week!